Welcome to the Seven Mile Creek Tour! 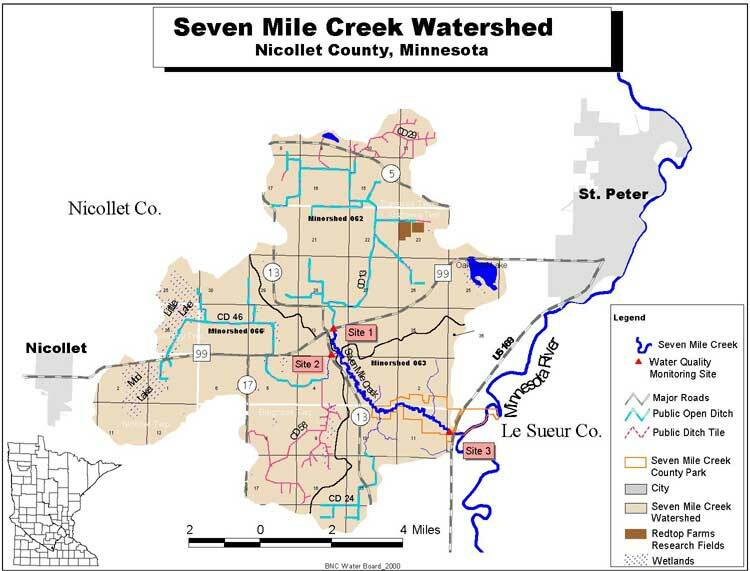 Click on the map below or the list of virtual tour stops at the bottom of the page to navigate through this watershed in south-central Minnesota (location map). Throughout the tour, click on any image for a larger view and choose "air photo" at each site to see a 2002 air photo of the area. Let's go!